The human body is composed of trillions of cells — cells being the building blocks of all living things. They provide structure for the body, take in nutrients from food, convert those nutrients into energy, and carry out specialized functions, e.g., heart cells, muscle cells, and brain cells. Every cell has a nucleus which houses deoxyribonucleic acid, or DNA. DNA is the hereditary information that is passed down from generation to generation. It is the code that gives one particular person blue eyes like their mother, or makes them tall like their father. DNA testing can shed light upon these genes. Our DNA is made up of four chemical letters: Cytosine (C), Adenine (A), Guanine (G), and Thymine (T). The specific sequence of chemical letters forms genes. Every person has two copies of each gene: one inherited from each biological parent. What is amazing is how similar our DNA sequences are when compared to one another. When lined up, the DNA sequences from everyone in the world are more than 99% identical! That means only about 1% of our DNA sequence is unique. Single nucleotide polymorphisms (SNPs, pronounced snips) represent the 1% where we differ from each other. You can think of SNPs as “spelling changes” in the A-C-T-G pattern of chemical letters. These differences influence why some people have a greater risk for cancer, or respond poorly to a particular medication. 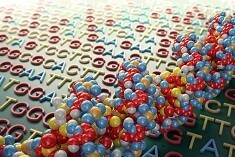 Scientists perform genetic testing to study how these SNPs specifically correlate with disease and drug response. The Human Genome Project was launched in 1990 to identify and map the approximately 20,000 to 25,000 genes in the human genome. By 2003, it had provided crucial insight into the biological workings behind countless medical conditions. It is now understood that diseases, such as cancer, heart disease, and diabetes, have strong multigene components, meaning many that sites in our DNA — in addition to lifestyle and environmental factors — influence our risk for these diseases. Another recent effort in the field of genetics is the International HapMap Project, a multi-country effort to identify and catalog genetic similarities and differences in human beings. Using the information in the HapMap, researchers will be able to find genes that affect health, disease, and individual responses to medications and environmental factors. By making this information freely available, HapMap will help biomedical researchers find genes involved in disease and responses to drugs. Genetic testing can be an excellent way to screen for diseases of an unborn child or to help find out which personalize medicine will work best in an individual’s body. If you’d like to learn more about DNA testing and how it might help you or someone in your family, contact the Center for Medical Genetics today!